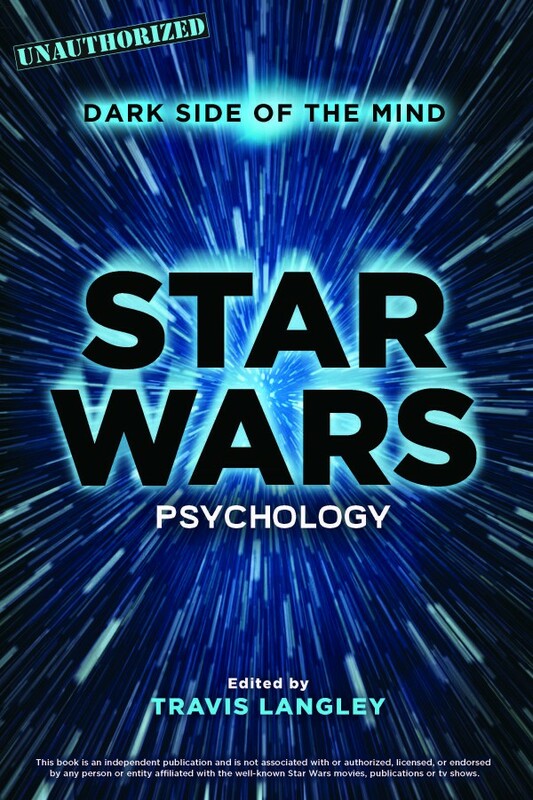 STAR WARS PSYCHOLOGY: Dark Side of the Mind explores the various psychological aspects of the beloved series, giving fans a better understanding of the motivation and mental states of their favorite characters. A group of expert contributors, led by Travis Langley, explore the “Big Five” personality factors and the characters who embody each major trait. Get to know the major players a little better leading up to the new movie coming out this December… How does anxiety disorder explain the transformation of a character’s psyche from good to evil and back to good? Can robots feel pain and suffering? How does limb amputation and neuroprosthesis impact the brain? Does music influence our emotional reading of the entire saga? Droids are the artificial intelligences (AIs) of the Star Wars universe. They are all embodied as robots, from the tiny mouse droids of the Death Star to the gigantic space-faring vulture droids of the Separatist Army. They can move and talk,but what do we know about their mental states? Are they intelligent? Are they conscious? In Star Wars, it seems clear that no matter what the cognitive task, some droids can do it. There are medical droids who diagnose, protocol droids who translate, and battle droids who fight. All can think and make decisions and even strategize and manipulate, like the T-Series tactical droids from Star Wars: The Clone Wars, who can be formidable strategic commanders. In spite of the fact that droids seem to be able to do just about any intelligent task, Obi-Wan Kenobi — just like many people on Earth — denies that machines can think at all.3 Kenobi also shows very little compassion for the droids around him, in contrast to Anakin and Luke. 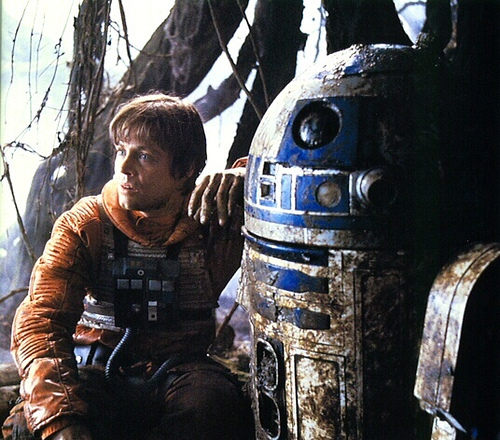 Although most droids seem to be able to speak, many speak “binary,” the whistling and beeping language of R2-D2. Kenobi doesn’t appear to understand it. Anakin and Luke, on the other hand, can understand binary and also seem to care about droids’ well-being much more. Is this a coincidence? Likely not. Auditory cues may be even more important than visual ones for judgments of intelligence in other people. In particular, the use of more words, less halting speech, and more easily understood speech makes someone appear more intelligent.4 Therefore, it’s easy to think people are stupid if you can’t understand what they are saying. The same goes for machines. Equally important is the question of whether droids feel empathy for us. The droids certainly act as though they have a wide range of feelings. C-3PO, especially, expresses happiness, sadness, and a tremendous amount of stress and worry. Even though we cannot understand R2-D2’s language, the nature of the little droid’s tones reflects the prosody of human speech, and we can easily infer emotion when R2 speaks.7 Of course, there is a difference between actually feeling happiness and merely behaving as though one is happy. Only about 2 percent of people believe current robots have the capacity for feelings.8 Unfortunately, cognitive scientists and psychologists do not have enough knowledge about how emotions work to judge whether a droid is actually feeling anything or merely acting like it. The same goes for consciousness. The good thing about the test is that it is very hard to pass (to fool a qualified human judge, anyway), meaning any machine that could pass it would certainly be impressive. The downside is that we’re not sure what it would mean for a machine to pass it. Would it mean the machine was conscious? Although psychologists are learning more and more about the nature of consciousness, we may not be not learning the kinds of things that would help us understand whether droids — or any other artificial creatures, for that matter — have genuinely conscious experiences. The problem is particularly important when it comes to pain and suffering. Can droids feel pain and suffering? In reality, the science is not definitive, but in Star Wars the answer appears to be yes. One hint appears in Star Wars: Episode VI Return of the Jedi, when a power droid is apparently being tortured by another droid in Jabba’s palace.10 When hot metal is lowered onto its feet, the power droid appears to squeal in pain. In Star Wars: Episode IV A New Hope, C-3PO bangs R2-D2 on the head, presumably as punishment. At other times, however, droids appear to feel no pain, such as when C-3PO’s head is severed in Star Wars: Episode II Attack of the Clones. Some people used to cut open live animals and marvel at how well they imitated the sensation of pain, when (according to those particular people) as beings without souls and rationality they could not actually feel any pain.11 Most people believe that dogs and cats can feel pain, perhaps with the same certainty that they feel that robots could never feel pain. The point is that people’s convictions as to whether or not an agent can feel any pain are culturally contingent. And, for most, assuming that a being cannot suffer means that one need not give that creature any consideration when it comes to how that being is treated. If one is wrong, however, a great deal of suffering can be inflicted. Star Wars: Episode II Attack of the Clones (2002 motion picture). Only 27 percent of people in 2005 thought robots were capable of intelligence — Strangely, the same study found only 72 percent of people thought humans in general were capable of intelligence (Arras & Cerqui, 2005). For example, Dovidio et al. (2010). Arras & Cerqui (2005), p. 10. Star Wars: Episode VI Return of the Jedi (1983 motion picture). Reprinted with permission from STAR WARS PYSCHOLOGY © 2015 by Travis Langley, Sterling Publishing Co., Inc. Sounds a lot like Ian Doescher’s William Shakespeare’s Star Wars.